A native of Baltimore, Maryland, Dr. William H. Curtis accepted the call to ministry at the age of 17. For seven years, he served as the Senior Pastor at Shiloh Baptist Church in York, PA; however, since 1997, he has served as the Senior Pastor at Mount Ararat Baptist Church in Pittsburgh, PA.
Mount Ararat Baptist Church is a large urban ministry and ministers to more than 10,000 members in the community, providing four well-attended weekend services. Mount Ararat believes in ministry to the whole community, and under the leadership of Dr. Curtis, the church implemented a Community Tithe Program, which returns over ten percent of the congregation’s weekly offerings to small churches, para-church ministries and non-profit organizations. Dr. Curtis has been an instructor at the United Theological Seminary and has graduated several groups of doctoral students at the institution. Aside from pastoral instruction, he is Co-Owner of The Church Online, a successful technology and full-service marketing firm that provides top of the line services to ministries all over the world. His Board relationships include the following organizations: Amachi Pittsburgh, the Pittsburgh Sports and Exhibition Authority; the Pittsburgh Theological Seminary; The Ellis School, the Interdenominational Theological Center; and the Baptist School of Theology. In addition, he served as President the Hampton University Minister’s Conference from 2007 – 2011. His fraternity memberships include: Omega Psi Phi Fraternity, Sigma Pi Phi, and Jericho lodge #20. 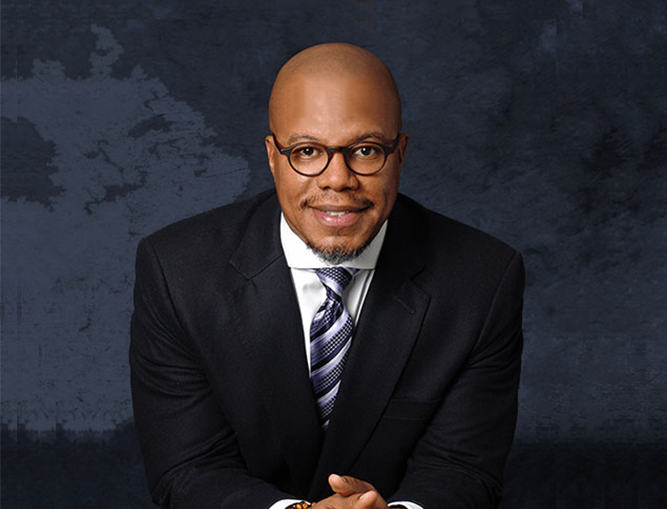 Dr. Curtis holds a Bachelor of Arts Degree in Religious Studies and Philosophy from Morgan State University, a Master of Divinity Degree from Howard University School of Divinity, and a Doctor of Ministry Degree from United Theological Seminary in Dayton, Ohio. Dr. Curtis is married to the former Christine Y. Richardson, and they are the proud parents of one lovely daughter, Houston.